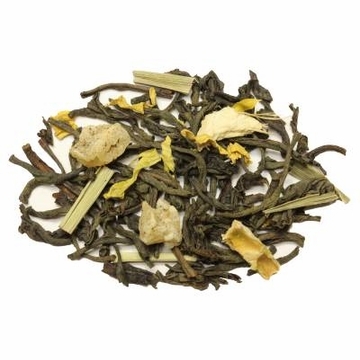 This tea is made from top grade orange pekoe Ceylon with natural lemon and ginger flavoring. The Ceylon tea is grown at the altitude of 7000 feet above sea level from the Sri Lanka region. When brewed this tea produces a bright coppery color liquid with a fruity spicy flavor and with touches of mild astringency. A fantastic fruit tea. Free shipping with purchase over $60. • Try our Fruit Flavored Black Tea Sampler. A Great Value! • Try our Fruit Flavored Green Tea Sampler. A Great Value! When I got this as a free sample, I was pleasantly surprised by how good it was. I ordered this with my next purchase. Lemon Ginger Black Tea has a full body taste of lemon peel citrus mixed with the black tea giving it a nice bitter mixture. 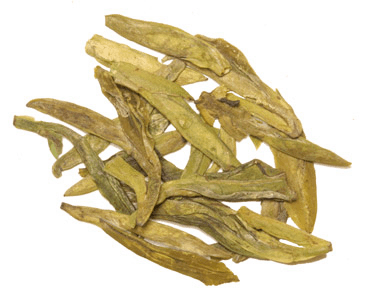 The ginger provides a pleasant earthy undertone which gives this bitter tea a perfect balance. Lots of flavor with this stuff! when I bought my glass tea pot a free sample of this tea was included with my order. It is great. I make a pot in am and drink it all day. It is good hot or cold. I think this this is the most soothing and relaxing the I have ever tasted. I love the sweetness of the lemon and the spiciness of the ginger. My husband is the iced tea guru in the household. He makes it by the gallon, and we always drink it unsweetened. 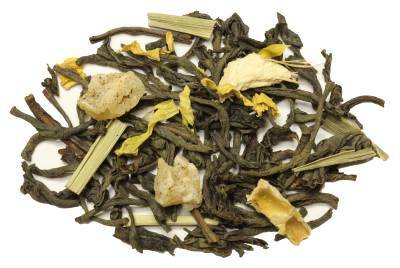 We alternate between your mint black tea, and this lemon ginger flavor. Both are excellent. This has just enough citrus and spice to be tasty without feeling overpowered by either flavor. This tea doesn't need sugar to "tame" any bitterness or tannin, but I suspect many would enjoy a bit of honey or sugar to heighten the flavors. I'm not quite as fond of it hot as iced; I don't like most flavored teas in my mug. But I'm sure a lot of people would enjoy it, especially sipped after a big dinner! Love the combination of the Lemon and Ginger. It also add great flavor when mixed with some of the other teas like Dragon Well Green Tea (or those with a base flavor). I previously enjoyed the Blackberry Black Tea, so I decided to branch out a little. I like both lemon and ginger, so I ordered a 4 ounce package to try it. I will definitely order again. Delicious. 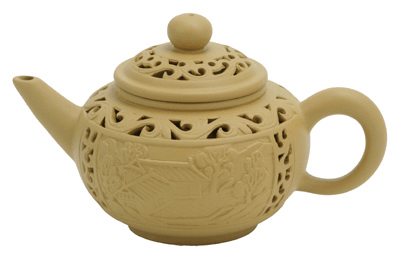 I always buy teapots and tea ware from Enjoying Tea.com, and they included a sample of Lemon Ginger Black Tea with one of those purchases. This is one of my favorite teas from ANY of the companies I order from. I never get tired of it, and often give it away to happy tea drinkers. If you are going to buy one tea from Enjoying Tea.com, but this one! This tea is fantastic iced! A little sugar and fresh sliced lemon make it out of this world!!! I think this tea is best weaker than other black teas. It needs no sweetener. It is addictive. I need a daily dose. Try it once, and you will be hooked also. I totally love this tea. I expected a stronger and robust taste. Fine quality black tea with subtle, non-chemical tasting aroma of lemon (just a hint of ginger - lovely). This has got to be the best lemon ginger on the market. The smell is great. The taste is wonderful. I just love lemons, and this has just the right amount of lemon flavor. So fresh. This is a mild black tea with mild lemon flavor. The ginger is very much in the background. I enjoy it hot with honey. I make it in a mug that holds 14 oz and I find its flavor does not get tiering but holds up to the end of the mug. This is absolutely my favorite tea. It's bright, invigorating flavor is perfect to start the day! More than just called "lemon ginger". A lot of teas say that they have this in it and that in it, but when you drink it, you can't taste it. With this tea you can taste the lemon, the lemon grass, and a also the ginger. None of the flavors are overpowering and are mixed together evenly and nicely. I have IBS and ginger helps calm down the tummy so this tea is great to drink when it's acting up. I love this tea!! Got this as a sample, and I have too say it's GREAT!!! Perfect for when you wake up. I bought this one for my wife, but it turns out we both like it. It's not a daily flavor, but definitely good when you want such a distinct flavor. The scent of it reminds me of LemonHeads candy. I got this as a free sample and will not likely reorder. The lemon makes this a very refreshing tea, but I was looking for a more pronounced ginger flavor. If you are looking for a lemon tea, this is very nice, but if you want a ginger tea, this is not it.